A crown, sent to Stephen by the head of the Christian Church to consecrate him king. King, who creates a nation and a homeland […]. This crown made it possible for Hungary to join Europe […]. This alone would have been sufficient […] to see it as the living symbol of the Hungarian state, the expression of national unity […]. This is why Hungarians still exist outside the borders of the country, and the crown of St. Stephen is their inheritance too. Because a nation remains a nation regardless of where the borders are drawn. This is one example of how the Hungarian prime minister, Viktor Orbán, and his government, routinely invoke history. The politicization of history is far from unique, although the local colour may vary. History started as a political enterprise in classical antiquity, with Herodotus’ inquiry into the causes of wars between Athenians and Persians. The coupling of history and politics was reinforced when professionalization, historical institutes and academic history were put into the service of nation-states. History has been at the heart of every national enterprise, offering evidence of the supposed deep roots of national existence. Yet national narratives are never uncontested. There are those who disagree with state-sponsored history, and historians fill the role of myth-busters as well as myth-makers. History can be politicized to a greater or lesser extent, depending on the agenda of the interest groups who mould it. The more authoritarian a regime is, the more thoroughly it tries to capture history for its own ends, shaping public discourse and school curriculum to propagate its version of history. Those in charge of the state, due to the powers vested in them, have unparalleled power to transmit their preferred version. The current Hungarian government’s endeavour to control history demonstrates the extent to which historical claims can be integral to politics. The political agenda takes on a historical garb, and the intended political direction determines the selection, emphasis, omissions and distortions, creating a history that serves as legitimation. Not a single historical claim made in the speech quoted above is true. The pope never sent Stephen a crown; the story of a crown sent by the pope obeying a divine vision was invented at the beginning of the twelfth century to support Hungarian royal power against both papal and imperial claims. Stephen never created a nation, nor was he intent on joining Europe; rather, he was successful in tranforming his rule into a kingship and consolidating his power, an aim shared by many warlords at the time. The object that now exists was never Stephen’s crown. The history the speech echoes is not that of the eleventh century, but that constructed by the rhetoric of the interwar Horthy regime. The Horthy era created the constitutional myth of a kingdom without a king ruled by a regent, and thus needed the legitimizing myth of the “Holy Crown”. In addition, this myth contributed to perpetuating territorial revisionism in the wake of the radical redrawing of state borders by the Treaty of Trianon in 1920. With the government’s revival of interwar rhetoric in the twenty-first century, the crown as legitimizing symbol reappeared, carrying with it a nationalist charge that could bridge political borders, asserting that Hungarian minorities in neighboring countries are part of the nation. As a significant step in politicizing (rewritten) history, the Hungarian government turned a medieval crown into “a relic embodying the continuity and independence of the Hungarian state” by legislation passed in 2000; and it transferred the crown to the Parliament building, despite the fact that the Hungarian state had been a republic for several generations. Why attribute a role in statehood to a crown? 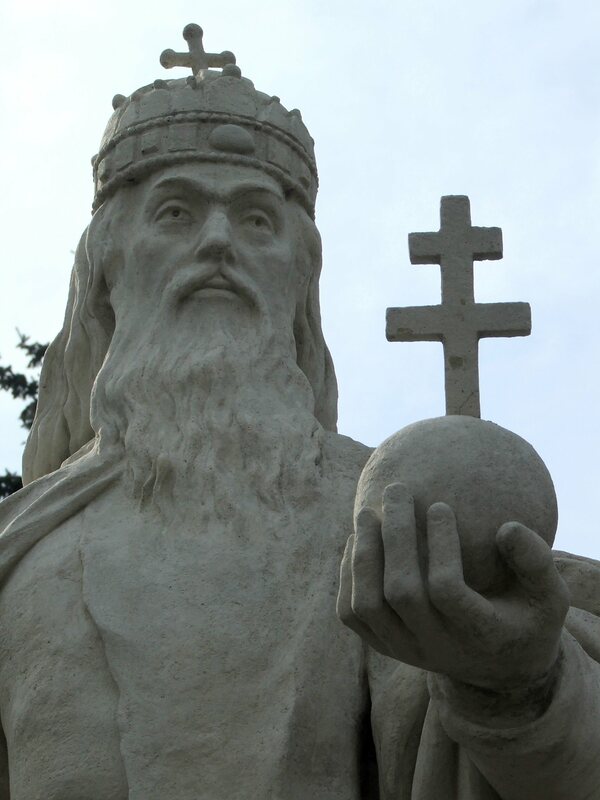 The crown traditionally was thought to have belonged to Hungary’s first Christian king, St. Stephen (died 1038). Over the centuries, it acquired a legitimizing role: without coronation with that particular crown, no king could hope to be accepted as legitimate ruler. Not only is such a role ill-suited for adaptation to the political life of a republic, but modern research has also proven beyond any doubt (despite recurrent conspiracy theories to the contrary) that the crown was never Stephen’s; it is constructed of two parts; the lower, Byzantine crown dates from the late eleventh century, while the upper part was made later to transform the originally open crown into a closed one (perhaps in the style of a Byzantine kamelaukion). Therefore when the government decided to move the crown into Parliament from the National History Museum and elevate it as the symbol of the state, it consciously embraced a lie. What in earlier centuries had been a mistaken view due to a lack of historical knowledge became in the twentieth century a myth that has been definitively contradicted by research. Today the refusal to accept such research results, together with the decision to give equal weight to theories entirely divorced from reality in an official booklet on the crown, amounts to wilful deception. Entrenching the role of pseudo-historical political formulations in public life, the 2013 penal code has made it an offence to publicly insult or denigrate national symbols, including the Holy Crown, punishable by up to a year’s imprisonment. Another favorite trope in political speeches is the reference to Hungary as the bulwark of Europe. Thus both an undersecretary of state and the head of the prime minister’s cabinet office have declared in official speeches that Hungary was, and is again, the bulwark defending Europe. The fence on the border against refugees (systematically branded “migrants” in government speak) is therefore the latest development in centuries of Hungarian undertakings to protect Europe, from the Mongols, the Ottomans, and now generally “Muslims” all intent to destroy Christian Europe. This assertion, too, is based on mythical history. While Hungary was indeed attacked and defeated by the Mongols and the Ottomans, not only were Hungarians acting in self-defence rather than for lofty ideals, but they even called in the Ottomans in the first instance, to help the local candidate John Szapolyai against the Habsburgs in a contested succession to the throne. Hungarians also repeatedly made alliances with the Ottomans. Imre Thököly fought on the Ottoman side at the 1683 siege of Vienna; Ferenc II Rák–czi after his failed revolt against the Habsburgs spent the last 18 years of his life in the Ottoman Empire. Populist anti-immigrant posturing in government rhetoric acquires apparent historical depth and a sense of vocation by omitting significant parts of history. More recent history has been tampered with directly, in order to create a blameless past and claim the position of eternal victimhood. Whitewashing the agency of Hungarians in the Holocaust included the claim by the director of the newly-founded historical institute, Veritas, that the 1941 mass deportation of Jews to Kamenetz-Podolski was a “police procedure” against “illegal aliens.” It entailed the erection of a statue presenting German occupation as the cause of Hungarian suffering (blurring the distinction between the systematic murder of Jews and the war-time death of other citizens), and an attempt to create an alternative Holocaust museum that whitewashed the Hungarian role in the atrocities. After an international scandal, the “House of Fates” remains empty. Statue of King St. Stephen of Hungary in Esztergom, Main Square, Holy Trinity statue. The government has been keen to eliminate elements of history that do not sit well with the myth of victimhood: the Horthy regime in fact received from Nazi Germany and Fascist Italy in 1938 – 1940 territories that had been detached after the end of the First World War; anti-semitic laws (the first in 1920), including a racial definition of Jewishness, predated the German occupation on 19 March 1944, and were passed by the Hungarian Parliament. Even the systematic deportation of Jews after the German occupation depended on the local Hungarian authorities’ enthusiasm and efficiency: 437,000 people were deported over 57 days, the majority to Auschwitz. This was not the work of the handful of SS stationed in Hungary. Hungarian gendarmes conducted the victims to the ghettos and then to the trains and forced them onto cattle-cars, often brutally. Hungarians beat and tortured people to discover hidden valuables. Hungarian midwives carried out intrusive searches on women before they were deported. After the war, free of Nazi occupation, between 1945 and 1948 Hungarians took part in anti-semitic riots and murdered some of the Jews who had survived the Shoah. Refashioning the Holocaust has impacted teaching in schools as well. A new (2016) history textbook states that “Church leaders objected” to the so-called third Jewish Law, which defined Jews as a race and prohibited intermarriage. The textbook fails to mention that what these churchmen objected to was not the law itself, which they welcomed, but the lack of protection for those who had converted to Christianity. The book ties the deportations to Nazi occupation alone, fails to mention the cooperation of Hungarian gendarmes and others, and tendentiously distorts the past. There is more space devoted to those few who tried to save the Jews than to the many who brutally collaborated in genocide. The rewriting of the past has not been left to politicians alone. In 2014, the government created a “historical research institute,” called Veritas. Not only its name, but its remit evokes Orwell’s 1984. It is under the direct oversight of the government, tasked to “strengthen national cohesion” and analyze the history of the last 150 years in a manner that “will strengthen national identity.” Historians at universities and at the historical research institute of the Academy of Sciences were evidently not to be trusted with such a delicate task. In today’s Hungary, political debates are disguised as historical debates, and political choices are presented as historical constraints. This politicized history, while ignoring research results and elevating myth as historical truth, is supported by state funding and even, at times, by legislation, foisting the official version, presented as true history, on the population. History’s power to legitimize and mobilize emotionally to create communal identity makes it attractive in the political field. History is politicized whether or not professional historians desire that outcome; our choice is limited to turning away and cultivating topics currently not of interest to politicians, or to teaching and propagating critical thinking and functioning as a lie detector. It was a Hungarian poet, Mihály Babits, who wrote that among the sinful, those who are silent are complicit. 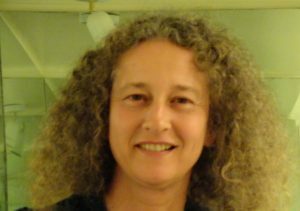 Nora Berend is Reader in European History at the Faculty of History, University of Cambridge, UK, and Fellow of St Catharine’s College. Educated in Budapest, Paris, and New York, she has published widely on Hungarian history. Her research interests encompass the treatment of religious minorities, religious and cultural interaction, the formation of identity, and the creation of historical myths. Her publications include At the Gate of Christendom: Jews, Muslims and “pagans” in medieval Hungary (c. 1000 – c. 1300) (2001); ed. with David Abulafia, Medieval Frontiers: concepts and practices (2002); ed., Christianization and the rise of Christian Monarchy: Scandinavia, Central Europe and Rus’ c. 900 – c. 1200 (2007); ed., The expansion of Central Europe in the Middle Ages (2013); co-authored with Przemysław Urbanczyk and Przemysław Wiszewski, Central Europe in the High Middle Ages, c. 900 – c. 1300 (2013).